Moving around Japan can be difficult if you have a lot of luggage. On the Shinkansen and trains, there is oftentimes not enough space to accommodate everyone’s belongings. Many bus services even impose a one- or two-pieces-of-luggage/passenger limit. 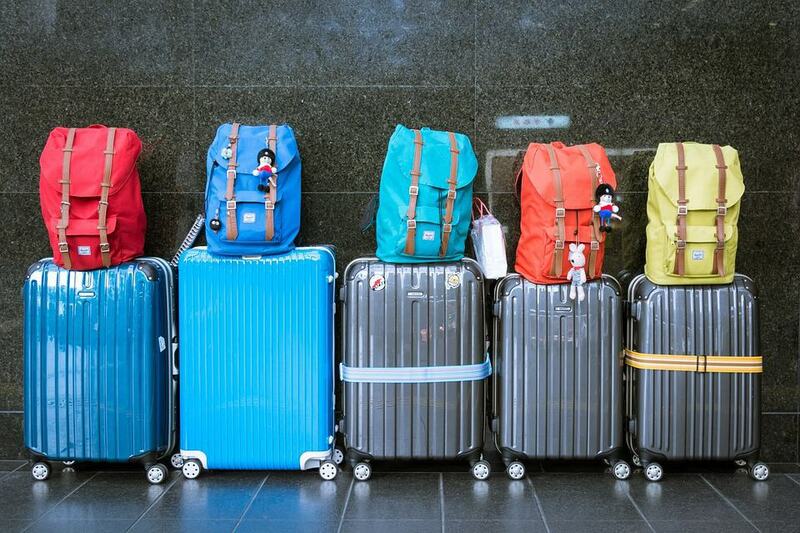 Yes, there are coin lockers at train stations and tourist attractions where you can store your backpacks and suitcases while you explore, but what do you do if there is not one available or large enough to fit your baggage in? Should you just accept that you have no other choice but to drag or carry your heavy luggage with you? QL Liner is a baggage transport and delivery service that offers same-day delivery to and from the Tokyo airports and different parts of the country, as well as to and from hotels in Tokyo, Osaka, and Kyoto. By availing the services of QL Liner, you get to start your Japan adventures as soon as you land, without having to worry about your baggage. You can sit comfortably on your Shinkansen, train, and bus rides to different Japanese cities, without your belongings taking up your much needed legroom. You also do not have to be bothered to always keep an eye on your stuff to ensure that you do not leave a piece or two behind every time you get on and off. If you are arriving to and/or leaving Japan via Narita Airport or Haneda Airport with a lot of luggage, you should take advantage of QL Liner’s Airport Delivery Service. They can send your belongings from the airport to your accommodation, or from your accommodation to the airport, allowing you to travel light on your arrival and departure days. A few days before your arrival/departure dates, place your order using the QL Liner website: http://e.ql-liner.com. Check the guidelines for collection and pickup dates here: http://e.ql-liner.com/assets/pdf/pickup.pdf. Upon arrival at Narita Airport or Haneda Airport, proceed to the QL Liner counter to deliver or collect your luggage. Click here to find where the QL Liner counters are located at the different Narita and Haneda Airport terminals. For inquiries, you can call QL Liner’s Reception Center: 0476-35-6631, which is open Mondays to Saturdays from 8:30 am to 6:00 pm, and Sundays and holidays from 8:45 am to 5:00 pm. If you are heading to Kyoto or Osaka after Tokyo, or the other way around, and want to travel hands-free, sign up for QL Liner’s Hotel Same-Day Delivery Service. Without your luggage, you can enjoy a comfortable 2.5-hour Shinkansen ride between these cities, and also not inconvenience your fellow passengers. Once you arrive to your destination city, you can just go straight to that shrine or museum you have long dreamed of visiting, with no luggage to deal with! At least two days before you need your luggage picked up, place your order by filling out this customer/deliver information entry. On the day you are leaving your hotel, leave your bags to the reception or front desk by 8:00 am for pickup. Your baggage should arrive to their destination hotel around 5:00 pm to 7:00 pm the same day. As you check-in at your hotel, you can pick up your bags at the hotel reception or front desk. If you place your order online, you will only pay 2,800 yen or 3,500 yen for each article (tax inclusive), which can be suitcases, cardboard boxes, bags, golf bags, skis, and snowboards. There are several hotels in Tokyo, Kyoto, and Osaka where you can use QL Liner’s Hotel Same-Day Delivery Service. Click here to view the complete list of hotels in Tokyo. Click here to view the complete list of hotels in Kyoto. Click here to view the complete list of hotels in Osaka. Airport same-day collection is only possible if order is placed by 12:00 pm in the Chiba, Kanagawa, Saitama, and Tokyo areas. It is best to call QL Liner at 0476-35-6631 for confirmation. Airport same-day delivery is available only for the 23 wards of Tokyo. There are some hotels in Tokyo, Kyoto, Osaka not included in the lists above where you can use QL Liner’s Hotel Same-Day Delivery Service. For details, contact QL Liner’s Foreign Language Assistance Number: 0476-35-6631. Visit the official QL Liner website for more information and details on their services. To show how much we appreciate your custom here at SIM Card Geek we include exclusive discount coupons for popular shops and attractions in Japan with all orders! We are pleased to offer all customers a discount of up to 8% on selected services offered by QL Liner. Simply place an order through our website to take advantage of this fabulous offer and more! You will receive a link to your discount coupon in your order confirmation email! ← For the First Time Ever, the Rugby World Cup is Coming to Asia!